SigmaIndustrial Bag Packing Machinemanufactured by us are available with various options and to suit the requirements of the customer. 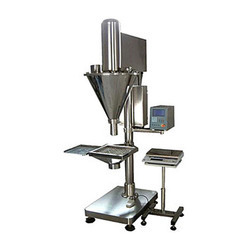 1kg to 1500 kg Bag Filling Machines are various model integrated with inflation fan, online weighing option, bag raising and lowering, dust extraction system. 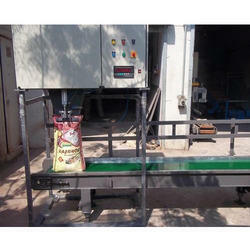 We have designed, manufactured, supplied and commissioned Bag Filling Machines to suit the site conditions. Industrial Packing Machine is as usual most of chemical, mining, agro fertilizer, agro grains industries. Machine can pack 20 kg to 40 kg bag. machine operated by single person easily. packing production is fast, and material is no leakage. Wheat Packing Machine operated vertical high speed type machine to pack 'Granules Products' such as grains, rice, wheat, pulses, sugar, seeds & other essential commodities etc in any heat sealable center seal pillow laminated poly pouches vis-a-vise polyester / BOPP / polyethylene / Al-foil etc. 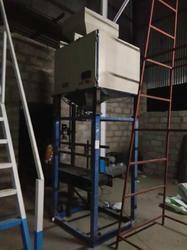 Machine supported on heavy duty angular steel structure-wrapped with Stainless steel cabinet all contact parts & hopper etc are made out of stainless steel and other part is m.s. construction. Used in various industries to packing the Coal Packing Machine material in weighing & bag fillings per require packing. 2500 to 3000 Kg per hour. Other capacities and in stainless steel body can be made on demand. 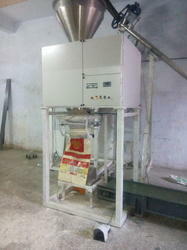 To cater to demands of our clients, we are offering them a wide range of Powder Packaging Machine. Our product is highly coveted in the market and acclaimed by the clients for its quality as per the international standards. Owing to its efficiency and low maintenance, it is highly appreciated by the clients. We are offering this product at highly affordable price range and timely render at the destinations of our clients. 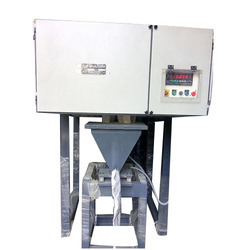 Gained by the years of industry experience, we manufacturer and supply to our precious clients with quality-assured Semi Automatic Bagging System For Caustic / Grains. 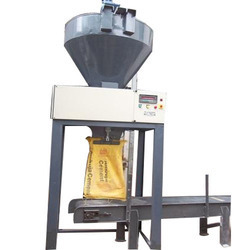 These Semi Automatic Bagging System For Caustic / Grains are offered by are built with precision and quality-tested, which makes them suitable for use in diverse industries. Our offerings are known for providing reliable performance and accurate results. We offer these machinery in tamper proof packing to ensure that our offering reaches our clients damage free. 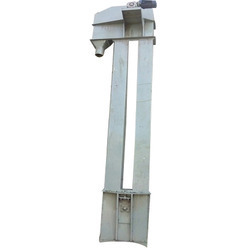 We Offer for Bucket Elevator Conveyor for our customer to all over India and World. Open mouth bag fillers are very simple, fast filling and easy filling of both food grade and non-food grade materials. they are well suited for both manual and automated applications. open mouth filling systems are ideal for hard to handle materials or products that are dry, free flowing and minimally dusty ranging from landscaping materials, feed, seed & fertilizer to food products. .